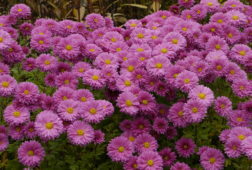 Yellow and orange striped flowers fading to orange, dark brown centre, July to mid-October. 100cm. 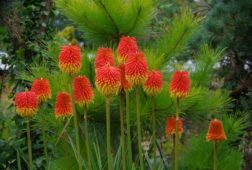 Plants ordered now will be sent in May 2017. 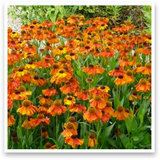 If you only have room for one Helenium or have never tried them before I strongly recommend going for this one. 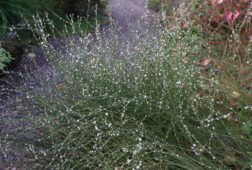 It seems to be one of the toughest, do watch slugs in early spring on young plants, and flowers from July through to mid-October with a little break in September. 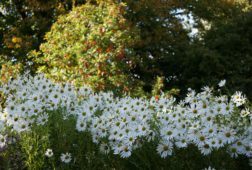 Masses of pretty daisy-type flowers which start yellow with red-orange stripes and fade to a muted orange, dark centre. 100 cm.